Over the last week, the Breakfast Show has been on a quest to find a pet they can be godparents to. Breakfast Show hosts Martin Bester and Tumi Morake have decided to be the godparents to one of their listeners' pets, but deciding on a certain pet is not as easy as you think. 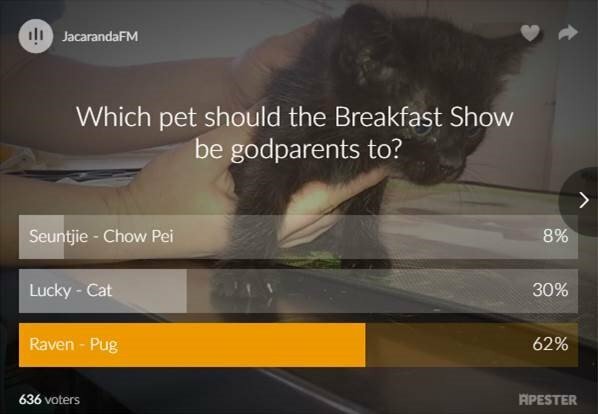 Over the weekend, many took to our poll to vote for which pet the Breakfast Show should adopt. ALSO READ: Martin Bester's chickens are SO spoilt! 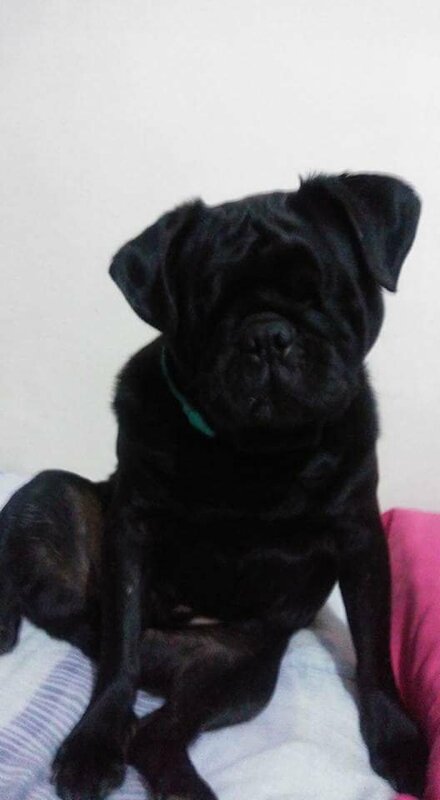 We spoke to Raven's owner, Mandie Myburg, who shared the terrible story of how Raven lost his eyes. We put three incredible pets head-to-head to a vote - who were not only super adorable, but had amazing stories to their name too. Hundreds of our listeners took to our poll and voted. With over 60% of the vote, we have a winner! It is clear that Raven was a firm favourite among the Breakfast Show listeners. WATCH: Liesl Laurie's fiery Quickstep stole the show!